In a Hadith reported by Hazrat Aisha (ra), the Messenger of Allah used to double his efforts in worship/prayer during the last ten nights (of Ramadan) compared to other nights. (Muslim, Mishkat). 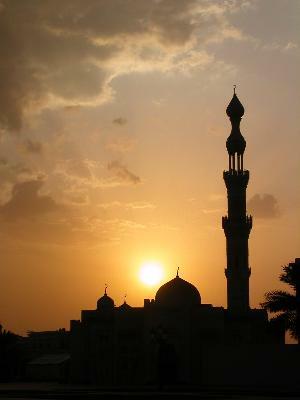 According to different Hadiths, the Night of Decree is found in the odd nights of Ramadan (21, 23, 25, 27 and 29). In the light of this Hadith, the Night of Decree is the night wherein the first revelations of the Quran came down on the Holy Prophet (pbuh). Even Hazrat Muhammad (pbuh) has not given a precise date for this special night, but he indicated that it was found among the odd nights of the last ten nights of Ramadan. 1. There are 7 heavens and 7 earths. 2. In a week, there are 7 days and 7 nights. 3. We need to perform 7 circumambulations (tawaf) around the Holy Ka’aba. 4. We run 7 times between Safa and Marwa. 5. 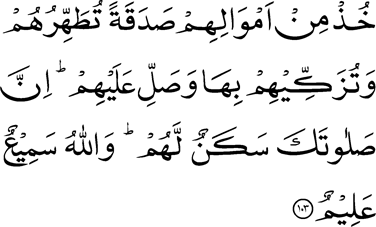 There were 7 companions in the Cave (Kahf). 6. Hazrat Yusuf (as) remained in prison for 7 years. 7. The dream which Hazrat Yusuf (as) interpreted for the King mentioned 7 fat cows and 7 thin cows. 8. We perform 17 cycles (Rakat) of Obligatory prayers in 24 hours. 9. For each Salat (prayer), there are 7 obligatory conditions so that our prayer may be considered complete. 10. 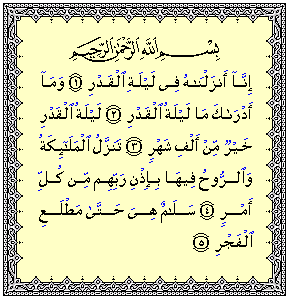 And of course, in Surah Al-Fatiha, there are 7 verses. For these reasons, according to them the number 7 is greater in worth than the other odd numbers. The word “Laila-tul-Qadr” (Night of Decree) is made of 9 (Arabic) letters, and it appeared 3 times in the Surah Al-Qadr. Therefore 3 multiply by 9 gives 27. According to the Holy Quran and cited Hadiths, we can see the worth and greatness of that grand night, and the density of the blessings it contains. Hazrat Abu Huraira (ra) narrated that Hazrat Muhammad (pbuh) said: “Whoever fasted the month of Ramadan out of sincere Faith (i.e. belief) and hoping for a reward from Allah, then all his past sins will be forgiven, and whoever stood for the prayers in the night of Qadr out of sincere Faith and hoping for a reward from Allah, then all his previous sins will be forgiven.” (Bukhari). 2. Abu Huraira (ra) narrated that the Messenger of Allah used to observe the I’tikaafeach year and the year in which he died, he remained in I’tikaaf for 20 days. 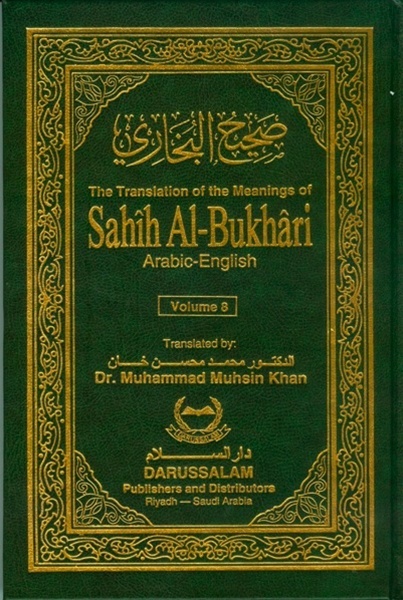 (Bukhari). Now let us come on the subject of Zakat. Zakat is an obligatory act of charity, ordained to each financially established Muslim and which is distributed to poor Muslims, or those facing difficulties/problems. Zakat is one of the 5 pillars of Islam and it has been prescribed in the Holy Quran and Hadiths. Then the Prophet recited the holy verses: “And let not those who (greedily) withhold what Allah has given them of His bounty ever think that it is better for them. Rather, it is worse for them. Their necks will be encircled by what they withheld on the Day of Resurrection. And to Allah belongs the heritage of the heavens and the earth. And Allah, with what you do, is (fully) Acquainted.” (to the end of the verse). (3: 181).” (Bukhari). -Extracts from the Friday Sermon of July 18, 2014 delivered by the Khalifatullah Hadhrat Munir Ahmad Azim Sahib (atba) of Mauritius.